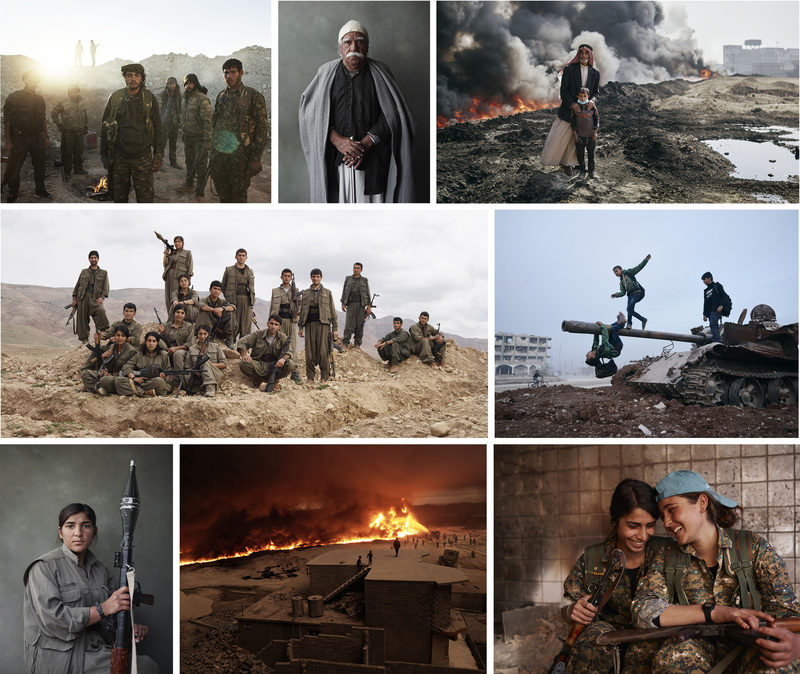 We Came From Fire: Kurdistan’s Armed Struggle Against ISIS is a collection by photographer Joey Lawrence, created during four trips spent embedded amongst Kurdish fighters in the chaos of the Iraq and Syrian civil wars. It provides invaluable insight into a series of conflicts that has been readily obscured by a complex narrative with myriad warring factions; Joey adds personal reportage, a deep-set knowledge, and arresting, empathetic portraits to illuminate events so often lost to the noise of modern media coverage. The ancient homeland of the Kurds, an ethnic minority of 40 million people, is carved up across the modern-day nations of Turkey, Syria, Iraq, and Iran. Historically, the culturally distinct Kurdish people have found themselves forcibly assimilated into the fabric of ethno-nationalistic states, persecuted as second-class citizens. Their language banned, “We came from fire, and we will return to fire” is an ancient Kurdish proverb kept alive by oral tradition—spoken in the privacy of the family home away from the watchful eyes of rulers and regimes, or sung in the mountains by dissident poets and rebels. With little official government support and only light weapons, brothers, sisters, former university students, and refugees that once fled from their homes have now taken up arms together against a common enemy: radical jihadist groups that contest the secular social reformations in Kurdistan. During his time in the region, Joey watched as ragtag volunteer guerrilla fighters, many of them women, with mysterious links to the outlawed Kurdistan Worker's Party (PKK) grew into a fully functioning army (and the US-led coalition's most trusted partner)—now known as Syrian Democratic Forces (SDF). The intimacy between Joey and his subjects is palpable, established through his extraordinary ability to courageously embrace the unknown and the unexpected. He dutifully documents the fighters’ struggle for independence without being dogmatic, and records the minutiae of their daily lives without ever losing sight of the larger political significance. 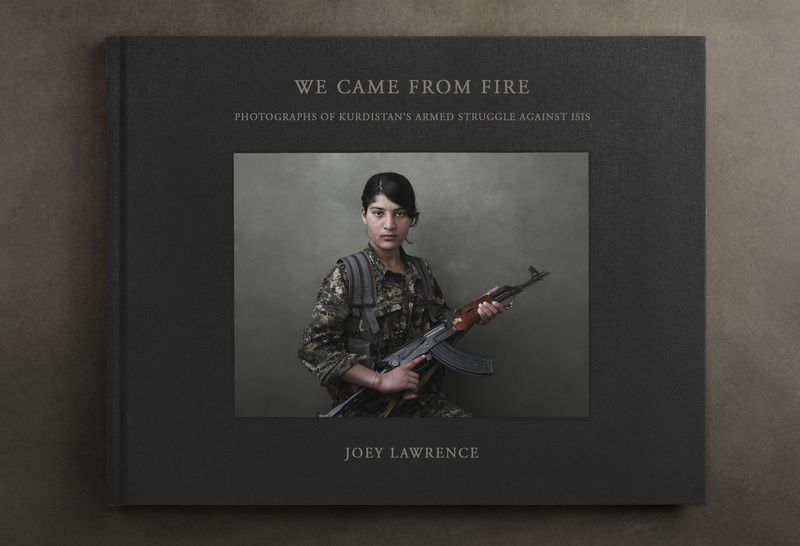 We Came From Fire is an important contribution to this discussion, with riveting images that get to the true heart of the conflict: its people. Joey Lawrence is a Canadian-born photographer and director based in Brooklyn, New York. Since the age of 18, Joey's work has been published in prestigious outlets such as National Geographic, Channel, The Sunday Times, Vanity Fair, and consistently sought out by NGOs and advertising clients, including Water Aid, ACLU, U.S. Army, Canon, Lavazza and many others. A firm believer in fostering creativity and fulfillment through personal pursuits that have brought him to new and unfamiliar territories, Joey wrote and directed his first scripted film entitled "People of the Delta" in Southern Ethiopia. The film starred the local population as actors and creative collaborators, all of the film’s dialogue was in the endangered languages of Dassanach and Hamar. In 2015, he set off to the Kurdistan region of Iraq and Syria to begin a new personal project that would lead to the release of a documentary film in 2017 "Born From Urgency" and ultimately, to the publication of the book "We Came From Fire". Joey has been listed as one of the "Most Influential Photographers on Social Media"; Complex magazine named him one of the "30 Photographers under 30 to Watch"; and he has recently been featured in London's National Portrait Gallery as part of the Taylor Wessing Prize exhibition. High-res scans to your specification are available upon request; scanning from the book or lifting images from the mechanical file are strictly prohibited. Mandatory credit line: From We Came From Fire by Joey Lawrence, published by powerHouse Books.